It's one of the most enduring prison mysteries of all time: what happened to the infamous Alcatraz escapees? 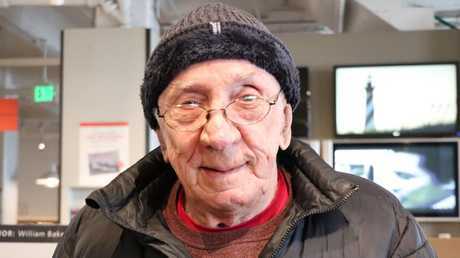 One former inmate, William "Bill" Baker, 86, reckons he knows the answer. "They beat this place," he told news.com.au. Baker, who did a three-year stint in cell #1259 from 1957-60, is one of the last surviving inmates of America's most notorious prison. He was just 23 years old when he was transferred to Alcatraz, about 2kms offshore in San Francisco, after breaking out of another prison where he had been serving a sentence for car theft. 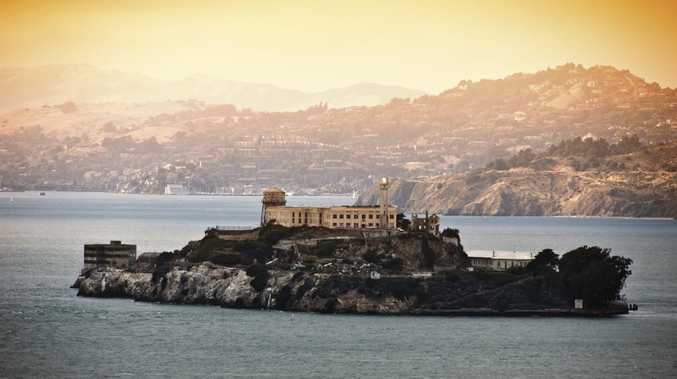 It was there he became mates with one of the facility's most infamous escapees: Frank Lee Morris, who along with brothers Clarence Anglin and John Anglin, escaped from Alcatraz on the night of June 11, 1962 and were never seen again. In an interview with news.com.au on Alcatraz Island - also known as "The Rock" - last week, Baker said he doesn't know for sure what happened to the men, but that he has a good idea. "The authorities can talk all they want and downgrade it to 'we know they're dead' but if they made it to land they wouldn't be in a bar bragging about it," Baker said. "It took them about a year to plan and execute that escape and they did some remarkable things to make it out of the building that you can never tell me they got to the water and said "what do we do now?" 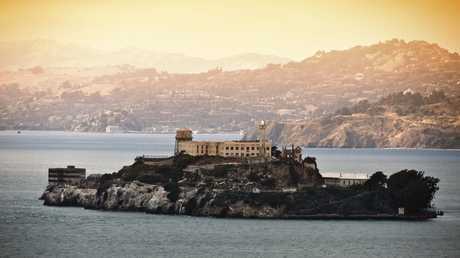 Alcatraz prison is located on an island in San Francisco Bay. Aided by another prisoner, Allen West, Morris and the Anglin brothers used saw blades, spoons and a drill over the course of six months to gradually forge an exit through ventilation ducts in their cells. The men sculpted dummy heads from pappier mache and plaster, and piled towels and clothing under their blankets to conceal their absence, before climbing to the roof through a ventilation shaft and making their way down to the shoreline. They made their getaway on an inflatable raft but what happened next remains a mystery. One popular theory to have emerged since then is that they never made it back to land, but their bodies were never found in the depths of San Francisco Bay. The mysterious outcome of the daring prison break went on to inspire Hollywood thriller Escape from Alcatraz, starring Clint Eastwood. Former Alcatraz prison inmate William Baker spoke to news.com.au on the island. Baker told news.com.au that the convicts had planned their escape meticulously and shown great restraint in keeping the entire operation secret. He said it was that trait that had likely also allowed them to continue living in society in the years that followed. "They were very quiet, very patient. not only did they have to keep it from the guards, they had to keep it from the snitches," Baker said. "Anytime you have a desperate man you have snitches. You can bet if they were in a bar they wouldn't be bragging about it. We would never know. "We would never know if they're free or if they're not free because they would not tell anybody and they would never go near their families. "We think that they made it to land but we don't know. Nobody knows. "My take on it is … if they died in the water they died free as far as I'm concerned. They beat this place." 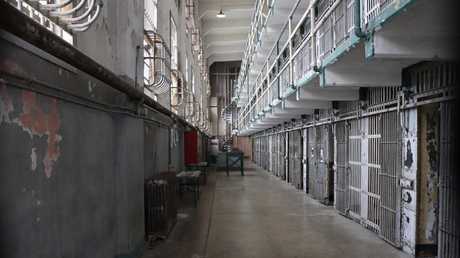 Inside Alcatraz Prison’s “D Block”. Earlier this year, a letter written by Anglin emerged, and prompted new speculation the trio had made it out alive. It read: "My name is John Anglin. I escape (sic) from Alcatraz in June 1962 with my brother Clarence and Frank Morris. "I'm 83-years-old and in bad shape. I have cancer. Yes we all made it that night but barely! "If you announce on TV that I will be promised to first go to jail for no more than a year and get medical attention, I will write back to let you know exactly where I am. This is no joke." The letter - obtained by CBS San Francisco - was allegedly sent to the city's Richmond police station in 2013 and claims that Anglin died in 2011 and Morris in 2008. Since the escape, Anglin was said to have spent many years living in Seattle, followed by an eight-year spell in North Dakota. At the time of writing the letter, he apparently lived in the south of California. It was tested for fingerprints by the FBI as part of its most recent reopening of the mysterious case, but results were said to be "inconclusive". The agency has previously asserted that the men died after being swept out to the Pacific Ocean. But back in 2012, US marshal Michael Dyke, who inherited the case in 2003, said he had seen enough evidence to make him wonder if they could be alive. This included reports that the brothers' mother received flowers without ever a card for several years after their disappearance, and that they attended her funeral in 1973 disguised in women's clothes. 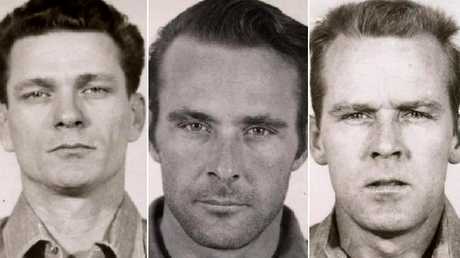 In Alcatraz's 30 years of operation, the brothers and Morris are three of just five criminals to have never been found following escape attempts, with 23 caught, six shot and killed, and two having drowned. The prison shut in 1963 due to spiralling costs and the island is now a popular tourist attraction. Baker often returns to the site to do book signings for his memoir about his time in the prison, Alcatraz #1259. The prison mug shots of convicts Frank Lee Morris (left), Clarence Anglin (middle) and John Anglin (right). 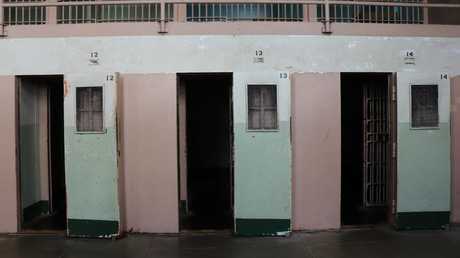 The dreaded “hole” cells were inmates were sent for solitary confinement. 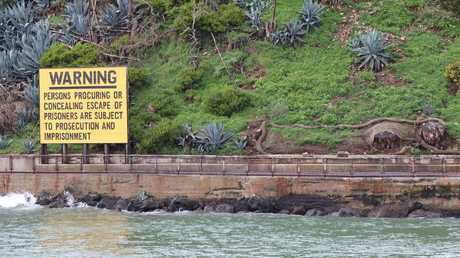 A warning sign on the edge of Alcatraz Island.